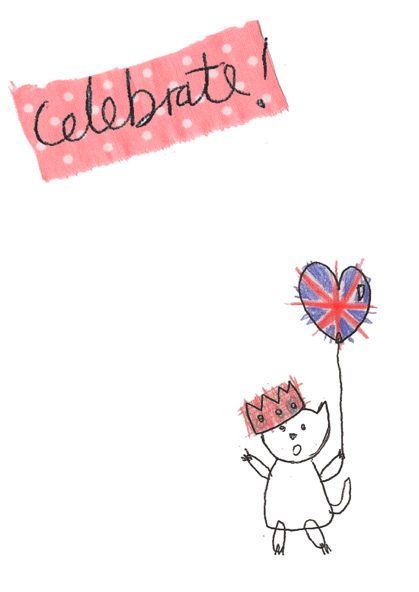 Hope everyone is enjoying the jubilee celebrations! 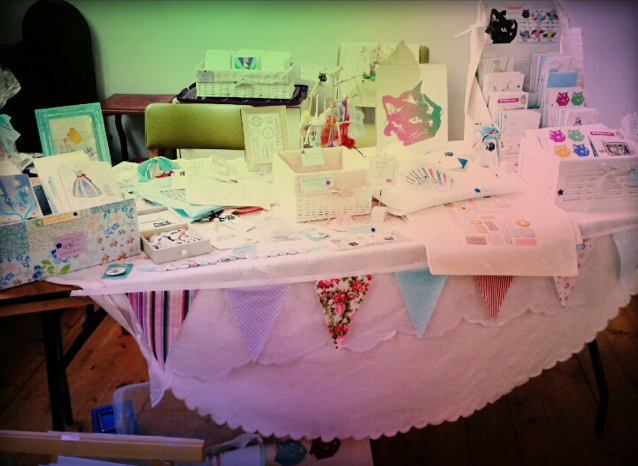 I will be at the Craftaganza today- come along and say hi! 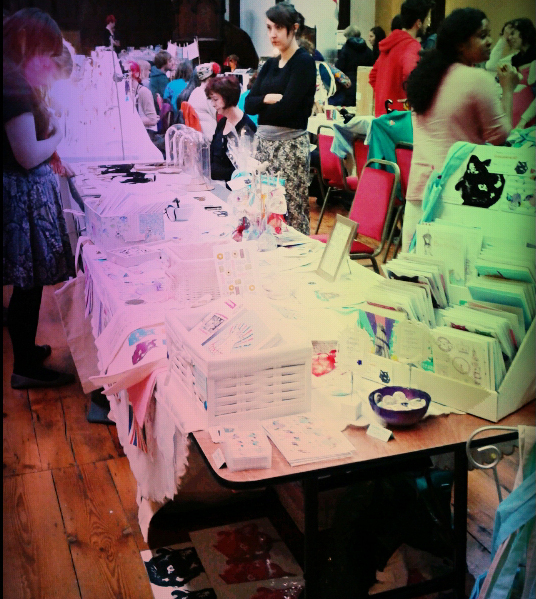 Lots of crafty lovely stuff and something to do on this bank holiday Tuesday! 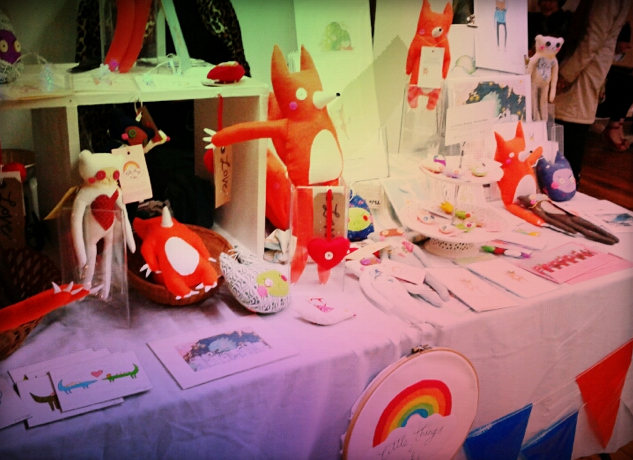 Open from 10.30am, Fabrica Gallery, Brighton. 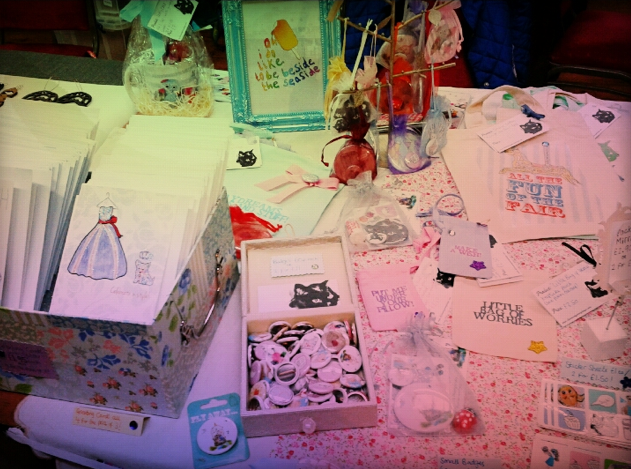 Some photos from the Makers Boutique craft fair in Brighton today! 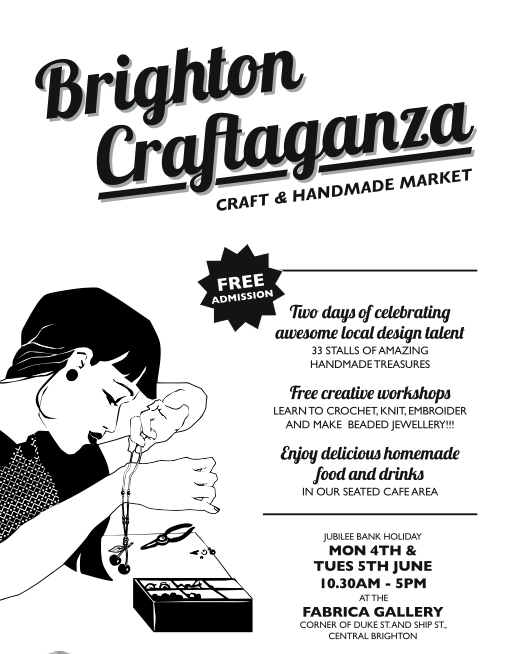 I will also have a stall at The Ladies Mile Jubilee Festival tomorrow (Sunday 3rd June) and the Craftaganza fair at Fabrica gallery on Ship St, Brighton on Tuesday. 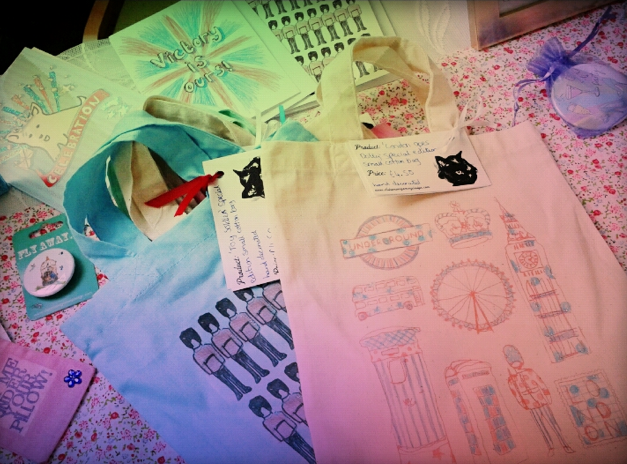 Come along for lots of Jubilee themed keepsakes and gifts! 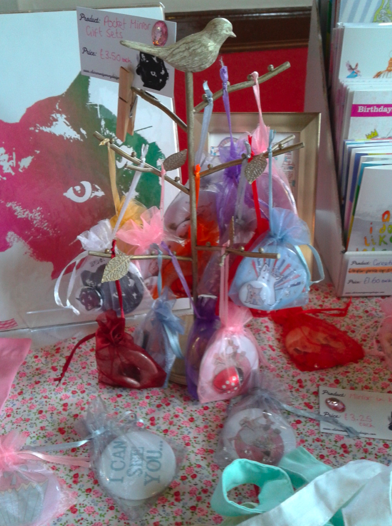 It isn’t long unitl the summer Crataganza now over the Jubilee bank holidays. I will be there on the bank holiday Tuesday, 5th June 2012. 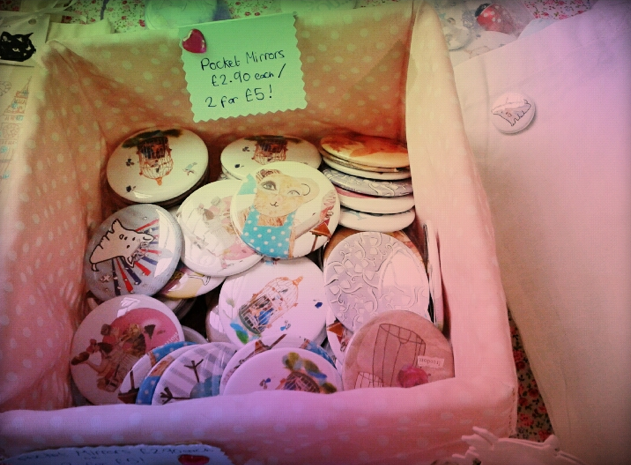 Hope you can come along and see all the lovely artists handmade crafts! 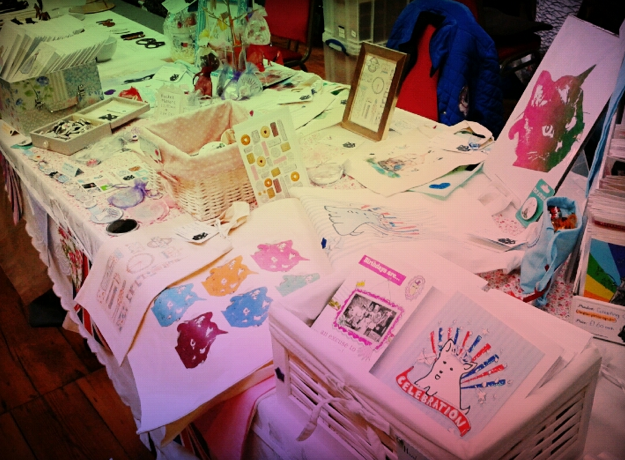 See the Craftaganza blog for all the latest updates! 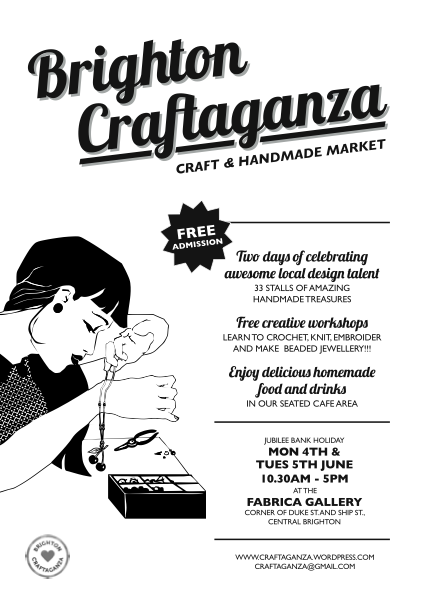 Please come along to the Brighton Craftaganza on Saturday March 24th at Fabrica Gallery (Duke Street). 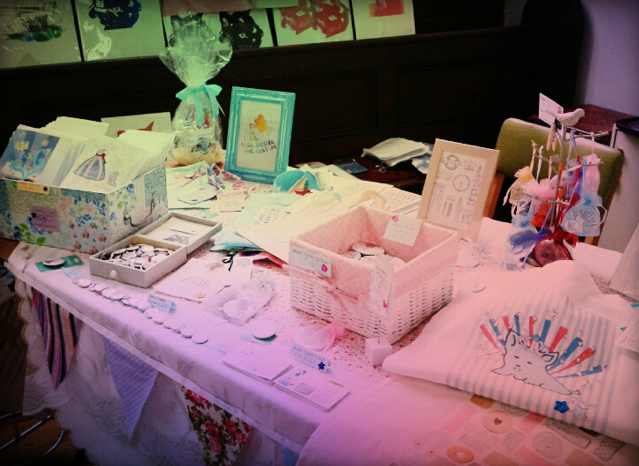 There will be lots of lovely hand crafted stalls and yummy home baked food also! 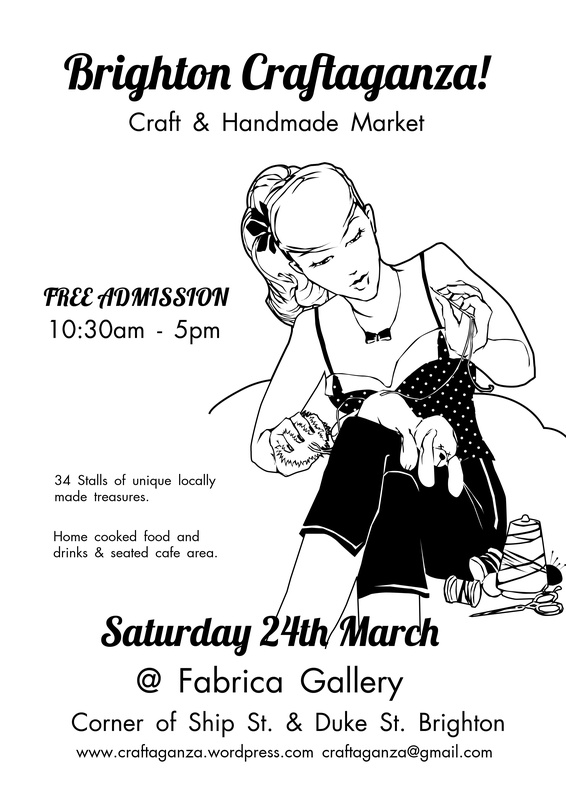 The Fabrica Gallery is also conveniently located right in the centre of town. 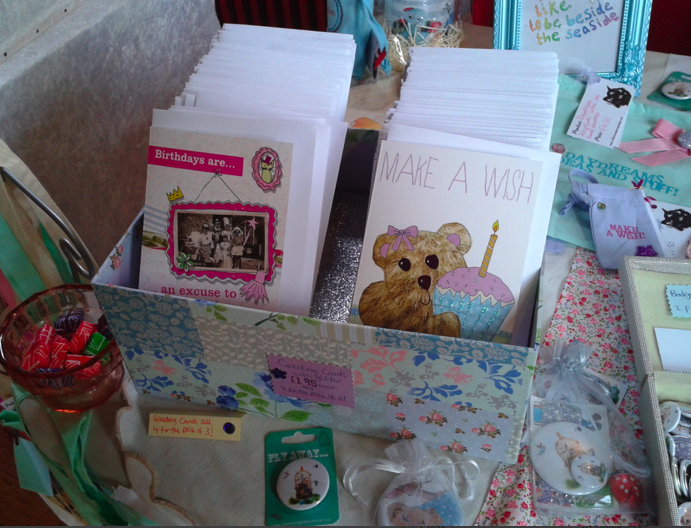 I will be selling a range of crafty bits including my new 2012 greeting cards, cotton bags, mirrors, badges, stickers, goody bags, prints and more! To see more about the event visit the blog by clicking here. 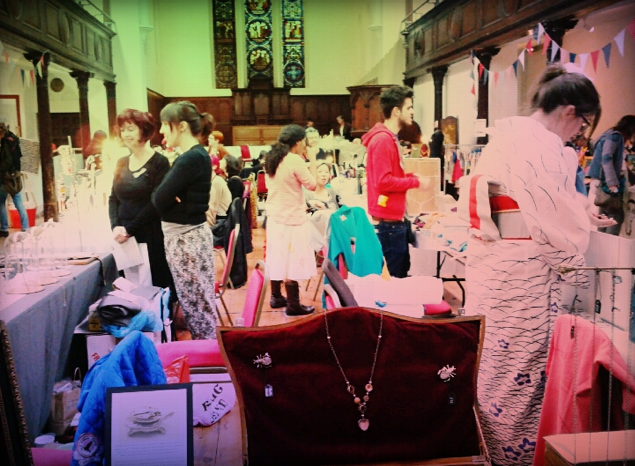 Also see the Facebook event page here.